There’s no evidence that credit reports reveal an applicant’s competence but plenty of evidence that shows they invade privacy and institutionalize discrimination. It’s the classic Catch-22 of the doomed job search: How do you get a job? You need experience. And how do you get experience? Get a job. But for many, the unemployment cycle gets further twisted when it intersects with the debt cycle. When prospective employers run credit checks, a bad report becomes a financial scarlet letter. New York City policymakers are pushing a landmark bill that could free workers from the chains of bad credit history—pernicious records of old debt or loan defaults. The new City Council legislation would impose a general “ban on personal credit checks by all employers, employment agencies and licensing agencies.” The measure aims to comprehensively shield workers from what economic justice advocates see as an arbitrary and inherently discriminatory screening process. I started noticing, everywhere I went, I suddenly was not good enough to work there. Then I realized it was the bankruptcy. I went to [look for jobs at] all these nice stores where they loved me…. But the bankruptcy just killed me. I was on welfare for awhile—there’s no reason a guy like me should be on welfare, a strong, able guy who’s a very good worker—but basically it was a blacklist. But don’t credit checks reveal useful background information about how trustworthy a job-seeker is, especially if they are seeking a job in, say, sales or security? Actually, there’s no evidence that credit reports correlate with a prospective employee’s competence or propensity to commit financial crime, and plenty of evidence that they invade privacy and institutionalize discrimination. The credit history check, say labor advocates, is not an effective evaluation tool but an arbitrary measurement that tracks people into a self-fulfilling prophecy of structural disadvantage. Many people’s credit problems are not their fault, but the result of the joblessness and turmoil of the recession. Meanwhile, these checks are routinely used by big retailers when vetting applicants for low-wage jobs, which also feed into social inequality in the communities beset with cyclical debt and poverty. According to survey data analyzed by Demos, “Households that include someone without health coverage are more than twice as likely to report that their credit score has declined a lot in the past three years.” Medical debt is hardly a measure of one’s character—unless you want to blame poor people for their poor health. Sometimes the credit stain comes from heavy student loan debt. This not only penalizes those trying to invest in the promise of higher education, but also disproportionately burdens students of color, particularly amid the steadily rising cost of college. Originally designed for loan applications, the credit-checking industry, dominated by three mammoth financial firms Equifax, Experian and Transunion, has expanded in recent years to shape various arenas of economic life, from jobs to housing to insurance plans. Botched credit forecloses economic opportunity on a massive scale. 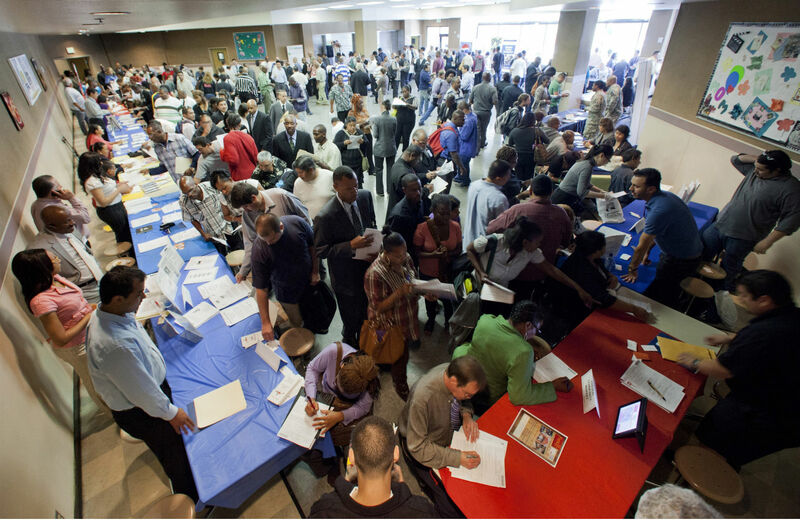 According to Demos, about 10 percent of unemployed people surveyed “have been informed that they would not be hired…because of the information in their credit report.” And yes, paradoxically, experiencing extended unemployment is also linked to poor credit, which in turn worsens employment prospects. Often the information in a credit report is not just irrelevant but even inaccurate. Surveys analyzed by state Public Interest Research Groups show that an estimated 70 percent of credit reports “contained either serious errors or other mistakes,” such as incomplete loan records. The racial trendlines reveal the role of credit in promoting self-justifying segregation. Demos reports that “sixty-five percent of white households in our sample describe their credit scores as good or excellent,” compared with 44 percent of black households. Black families are more likely to report “fair or poor” credit history. In sum, credit checks are a measure of the unfairness of the economy, rather than the trustworthiness of an individual. But some communities have acted to curb employment credit checks. As of 2013, ten states, including California, Illinois and Connecticut, have passed laws limiting the use of credit checks. Last year, Senator Elizabeth Warren introduced parallel federal legislation in Congress. The New York bill would be one of the most comprehensive of its kind, broadly barring all employers and agencies from using credit history for employment purposes under the city’s human rights law. The only exemption would be jobs explicitly subject to credit checks under state or federal law. The bill has broad support from the City Council’s Progressive Caucus and advocacy groups, but faces the looming threat of the financial industry lobby, which is known for campaigning fiercely to weaken similar legislation in other jurisdictions. Since there’s no reason for a spotty financial past to cloud a person’s economic future, a simple block on credit checks might give countless workers a chance to prove their real worth—by starting with the clean slate they deserve.